Come celebrate Centennial Airport’s 50th Anniversary. 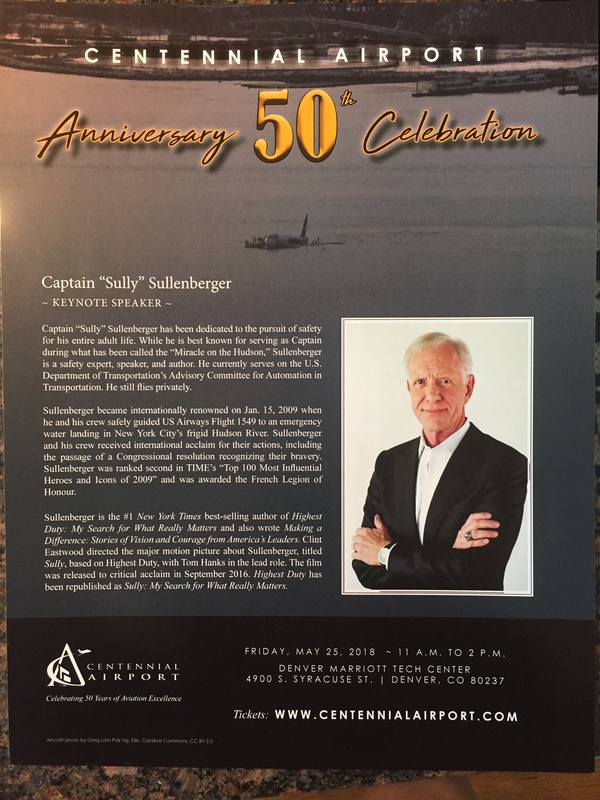 Our keynote speaker for the celebration is Captain “Sully” Sullenberger. Five distinct sponsorship levels are available to showcase your support for this historic event. For more information, contact Robin Loughran at 720-985-8580 or email events@centennialairport.com.